Mozambique and Malawi had been hit by tropical Cyclone Idai killing more than a hundred people. 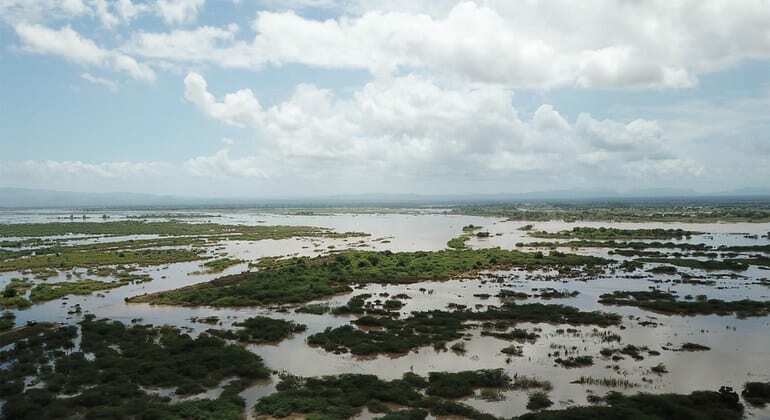 The storm made landfall in central Mozambique on Thursday night. Tropical Cyclone Idai displaces 1.5 million across Mozambique and Malawi, as UN ramps up a response. Heavy rain and wind of up to nearly 200 km an hour hit Beira, a major coastal city. Beira, the midway port city of Mozambique is an experience for an adventurous traveler. It is situated at the mouth of Rio Púnguè and has always been a great trading hub for landlocked countries such as Botswana and Zimbabwe. At least four provinces in Zimbabwe are set to be affected negatively by a tropical cyclone expected to make landfall Sunday. Last year, Americans headed for the hills for Labor Day. This year, it’s sandy beaches and bright city lights.